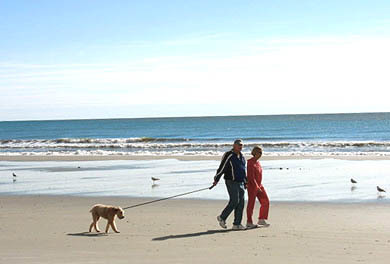 If you love Cherry Grove Beach and prefer to be out of the hustle and bustle, then Laguna Keyes condos are the ones you want. 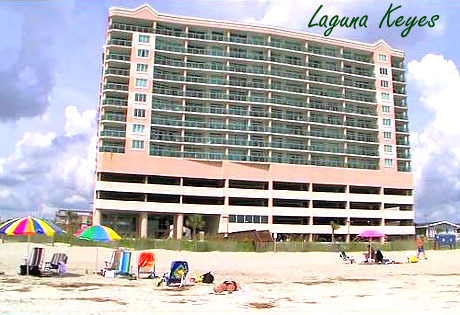 Located almost as far north as you can go on Ocean Blvd, Laguna Keyes was built to impress and attract attention. The huge high-rise resort has all the modern touches, and is a beautiful light pink with unusual aqua-colored plexi-glass balconies. When you sit in the fabulous living room and look out through the balcony, you will think you're seeing the turquoise waters of the Carribean instead of our Atlantic Ocean. The condos have all the upgrades, from granite countertops, ceramic tile, jacuzzie tubs, and covered parking. Find a Penthouse suite for sale and you will think you've arrived in heaven with the views and sheer luxury offered. These are excellent investment condos, a favorite of vacationers, and have the most privacy of any condo-hotel resort in the Grand Strand. Truly a must to consider if you want luxury vacation property! 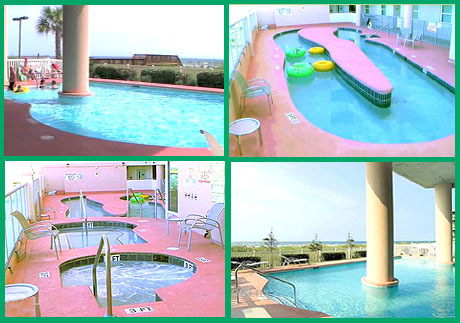 - The Best Views in North Myrtle Beach! If you love Cherry Grove and want one of the best luxury condos on the oceanfront, Laguna Keyes is the ideal North Myrtle Beach condo for you. Contact us for a tour and more information.